Cryptocurrencies and their underlying blockchain technology are not limited to a closed community anymore. The endless potential of blockchain and its benefits has got many industry segments looking for ways to implement it into their operations. The increasing interest has also resulted in the creation of numerous cryptocurrency platforms that can cater to the needs of industry. But most of these solutions are very similar to each other and requires active community involvement for mining operations, which are generally processing power intensive, requiring lots of energy. Minereum, a relatively new cryptocurrency platform stands apart from its counterparts, thanks to the innovative technology which is wrapped in an easy-to-use package for wider reach. According to the creators of Minereum, it is the first self-mining smart contract that is based on a mathematical formula which allows certain “Genesis Addresses” to continuously generate new tokens. Minereum tokens (MNE) started trading recently, and in less than a month it has gained significant traction within the cryptocurrency community. Currently available for trade on Livecoin exchange platform, MNE’s value is poised at $3.12 per token with a market capitalization of over $1 million. It can be traded against two major cryptocurrencies, Bitcoin and Ethereum (MNE/BTC and MNE/ETH). In order to initiate the creation of new MNE tokens, Minereum recently introduced 4268 Genesis Addresses. These addresses were assigned 32,000 coins each, setting the total number of tokens on the platform to 136,576,000 MNE. 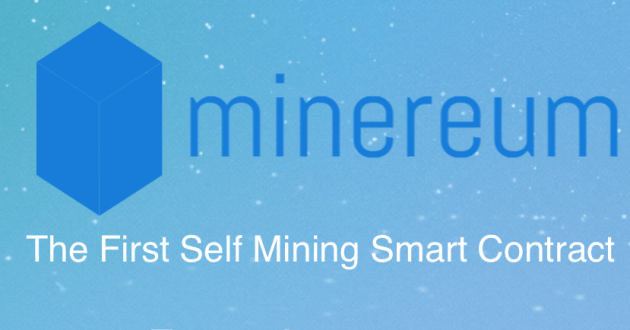 The self-mining contract associated with the Minereum ensures that the Genesis Addresses create 0.00032 MNE for each Ethereum block generated. This way, it will take a good 47 years before the cryptocurrency reaches its maximum cap. As the new cryptocurrency gains traction, the platform has announced its plans to implement a new service that allows the creation of ERC20-based tokens. The upcoming Ethereum Token Creation Service will allow people to create their own create Ethereum based tokens that can be used for organizing ICOs, trading or private use. In order to create new tokens over Minereum’s Ethereum Token Creation Service, users will have to just enter basic details like token name, symbol, etc., and in no time, they will have the tokens ready. Through its services, Minereum is working on reducing the barrier to entry for individuals and businesses interested in using cryptocurrencies. Over time, startups and companies stand to gain a lot from Minereum.